There are a lot of Minnesotans in New York City. For as long as Midwesterners have been seeking a more exciting life in the big city, Minnesotans have been carving out their own lives and lifestyles in this bustling metropolis (one of the more obscure historical examples is the Minnesota Strip). More recently, over the better part of a decade, there was a really special monthly happy hour called Minneapple in the Big Apple that served as a wonderful focal point for our transplanted culture. I had the honor of running the show for a while, and I thought it might be worth typing up a quick retrospective on all the fun we had. Minneapple was the brainchild of Nora Riemenschneider, a St. Paul native and one of the friendliest and most enthusiastic Minnesotans you’ll ever meet (and there’s a LOT of competition). Starting as a jokey Facebook group in 2008, a happy hour was soon demanded and “Minnesota Monthly”, began. Soon after, a network of fellow Minnesotans that were involved with the Bleecker Street venue/bar Le Poisson Rouge, offered to let Minneapple use them as the regular meet-up spot the first Friday of every month. Nora kicked off a monthly booze-up that highlighted arts, comedy, music, and culture of current and ex-Minnesotans in New York City. During her reign there was a series of variety events showcasing Minnesota talent (including John & Molly Knefel of Radio Dispatch, Sam Osterhout of Radio Happy Hour and a great group of musical acts), always accompanied by fantastic Nordic grooves from DJ Cherry Spoon (aka Anne Szustek). It was a golden era of organized Minnesotan culture in NYC, but sometimes the call of home is too strong to deny, and Nora announced her return to the motherland in mid-2010. But like a responsible steward, Nora organized a transition plan that would keep our fellow ex-pats supplied with excuses to loosen our tongues and enjoy each others’ company far from home. College friends Tara Jensen and Mishka Vertin were more than up for the task and started alternating winters at Le Poisson Rouge with summers in various bars around Brooklyn. As indefatigable boosters of all things fun and Minnesotan, Tara and Mishka could be counted on to coordinate Hot Dish & ‘Bar’ bake-offs, Ugly Sweater competitions, regular Minnesota trivia, and occasional profiles of eligible Minnesotans. Reader, it was truly a glorious thing to listen to Mishka and Tara taste-test and judge homespun desserts while their Minnesotan accents amped up in line with how much beer had been flowing. In the beginning of 2011 it came to our attention that The Bell House was hosting a ‘Texas State Fair’ day celebration. Not to be outdone by our southern state-pride competitors, we took it upon ourselves to throw the most fantastic Minnesota-themed party that New York had ever seen. 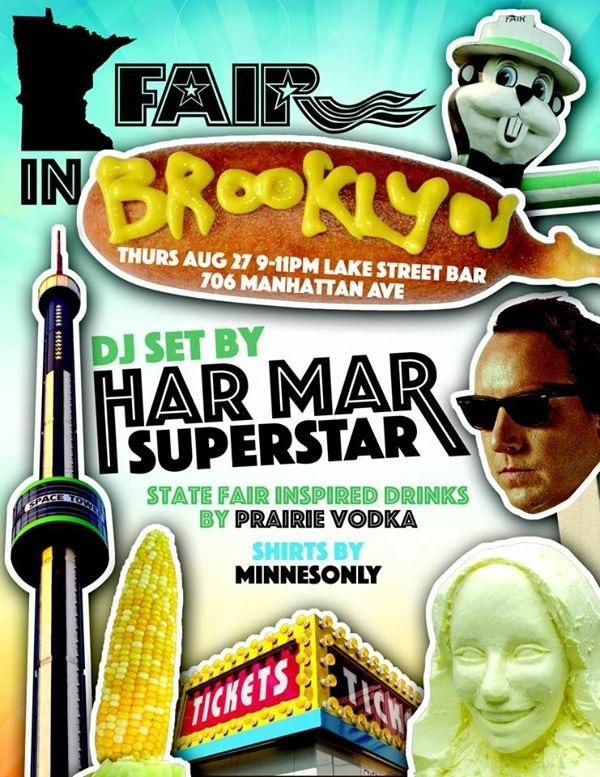 A team of 7 of us from Minneapple in the Big Apple, the NYC-based Minnesota State Fair Day, and the Minnesota Culture Club spent about 3 weeks pulling together what we called the Minnesota State Fair Affair. We had a food-on-a-stick competition, butter sculpting, a giant Minnesota anthem singalong, comedy, and more than a thousand Minnesotans in attendance (including Nora visiting from Minneapolis and special guest Al Franken?!). After that highpoint we returned to monthly happy hours and kept the fun going more casually. Eventually Mishka moved back and started an running-based non-profit in Minneapolis, and Tara continued her awesome social justice work as an attorney in NYC, leaving the reins with me. We had one last great ex-Minnesotan get together, collaborating again with the Minnesota State Fair Day organizers and Minneapolis-based BluDot furniture to get a few cases of Surly, a few platters of cheese curds, and a couple hundred Minnesotans into a great party. We even got profiled on Twin Cities daytime TV! Sadly, over the course of 2013 we lost some momentum – I cast around for new folks to keep organizing but I think that without being able to build on the huge successes of the past, people were satisfied to let the monthly happy hour fade into fond memories. To me the most special thing about Minneapple in the Big Apple was how it served as a launching pad for folks who were brand new to the city. I always described it by saying that there were a group of core folks that would make it out almost every month, a supporting cast of characters that would come a few times a year, and the complete randos that had heard about us through a friend of a friend, or even just randomly through Facebook. I had the awesome experience of striking up friendly conversations with hundreds of folks who had moved to NYC within the last couple months; you could always tell that by going to a random Minnesota-themed happy hour they were taking their first cautious steps out into socializing and nightlife in the city that never sleeps. 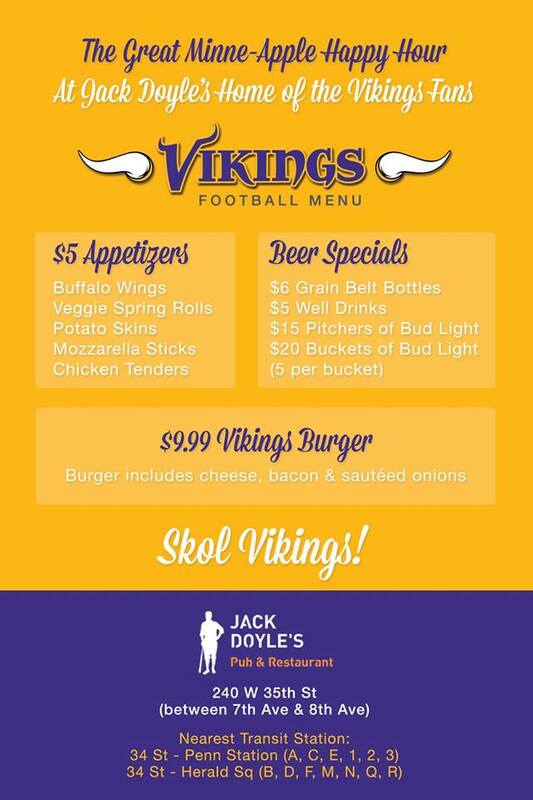 I’m really excited that more recently Charlinda Brewster has been carrying the Minnesota-in-NYC torch through meetups at Jack O’Doyle’s in support of the Vikings. But I’ve got a crazy dream that some day someone will be inspired by the glorious history of Minneapple in the Big Apple to pick the reins back up and re-start the tradition. If you think that you’re the right person for the job I promise you that there’s a huge wellspring of Minnesota pride and enthusiasm in New York, something that will remain true, happy hour or no. Special shout out to our all-time trivia high scorer Derrick Lewis, and other supporters of the MN good times, Sam, Rafi, Laura, Abigail, Taya, Dawn and many more. Look at that handsome Minnesotan! 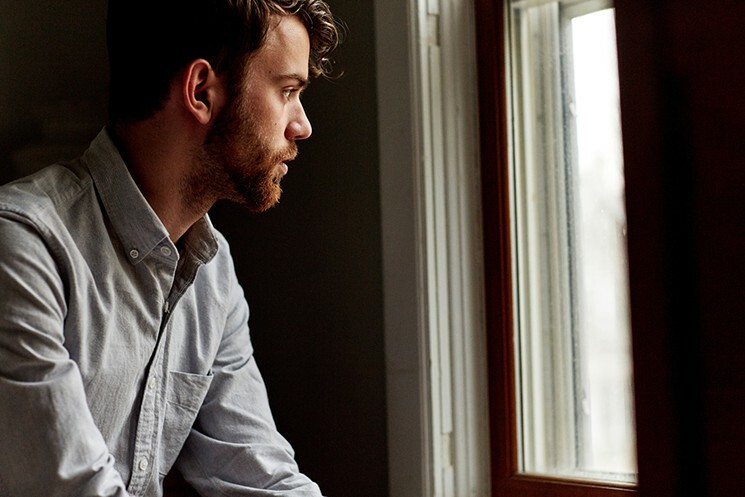 A week from tonight at 7pm an excellent young folksinger from Minnesota is going to be having a release party at Mercury Lounge for his new album “I’m not Afraid”. You can read all sorts of nice things about him in this City Pages article! Best of all – Minnesotans who make it to the show will get a free copy of the album! Grab tickets here! Here’s a facebook event! Minneapple Happy Hour – February 7th! Let’s get back to it team! Come and meet up with your fellow Minnesotans for happy hour drinks, discussions of state fair memories, and hilarious gloating about how freaking cold it is for our friends and families back home! Friday February 7th at Soda Bar, 629 Vanderbilt Ave, 7pm-10pm! There’s delicious fried food, we’ll do a quick trivia (for a free beer! ), and we’ll have a nice brief singalong of our wonderful Northstar Anthem (for the uninitiated, it is not ‘Hail to Thee’)! Looking forward to seeing all your beautiful faces and getting 2014 started off right! Stay tuned for 2014 Minnesota goodness!